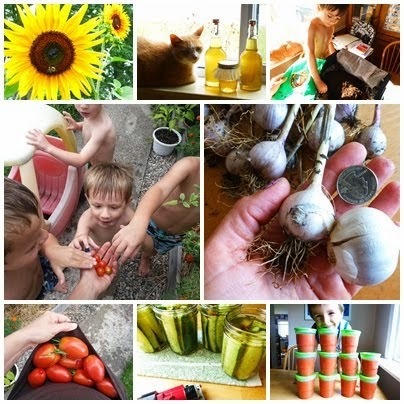 I cannot believe how quickly my first CSA (Coummunity Supported Agriculture) share passed me by! Back in April, when I paid for a twenty-week share of produce, the weeks seems to stretch out in front of me like a lovely dream. I looked forward to almost half a YEAR of weekly pickups of fresh, local, organically grown food. Each Thursday night when I got home with my goodies, I set them up on the kitchen table and snapped a photo. Which, to anyone in my family, doesn't seem the slightest bit odd. I do love my photos. "Oh, mom is standing on a chair taking photos of strategically placed vegetables? Yeah, what else is new?" So, here are the photos of our 20 weeks of colorful, tasty produce. I can't wait to buy a share next spring!